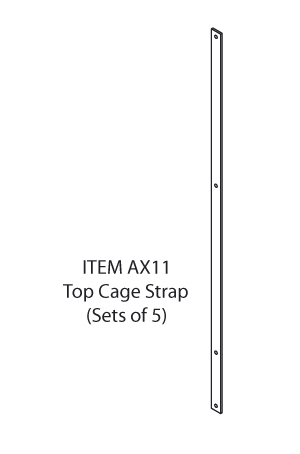 Cenpart’s AXESS ladder system was designed to be a safe and simple to assemble, permanent vertical ladder in modular format. 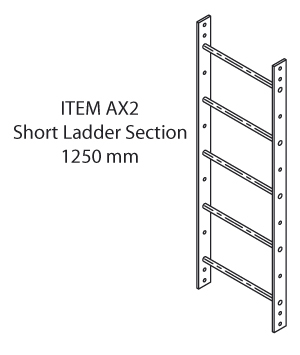 It is a suite of individual components which are easily bolted together to create a solid and robust finished ladder. 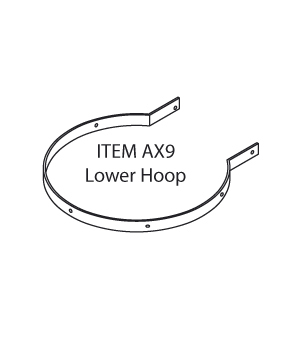 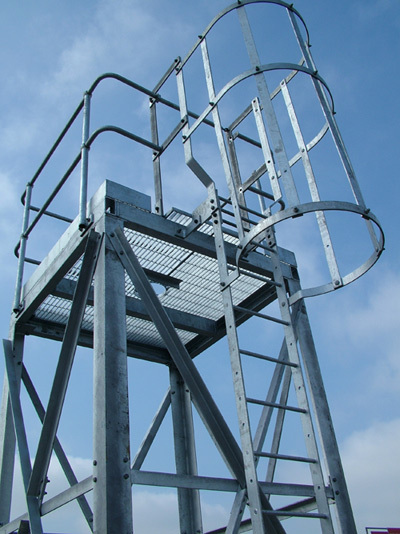 We normally carry stock of all parts allowing for a speedy delivery of either single parts or a complete ladder to suit your requirements. 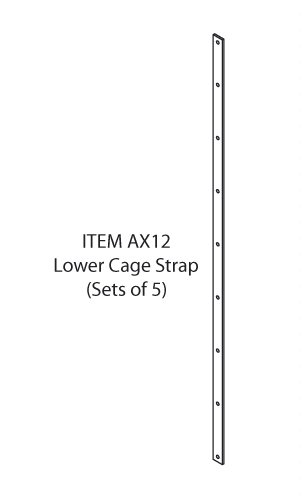 Just give us your floor to floor dimensions to get the ladder you need. 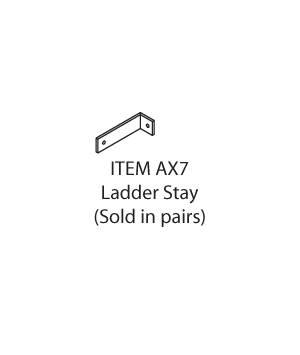 That’s the advantage that the AXESS ladder system was innovated to give. 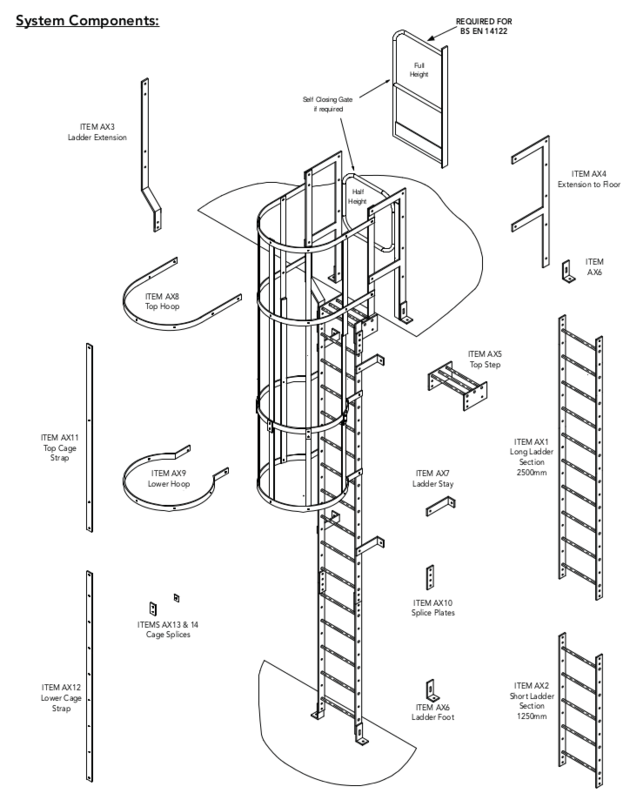 To use standard, interchangeable parts to build a ladder to fit most situations and minimise the need for the expensive and time consuming process of site surveys and detail drawings. 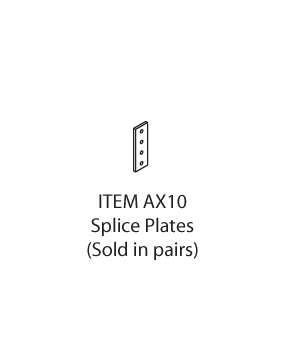 The design and production of AXESS components is in compliance with relevant British Standards and Euro-norms and you can be assured it will meet all of your health and safety considerations. 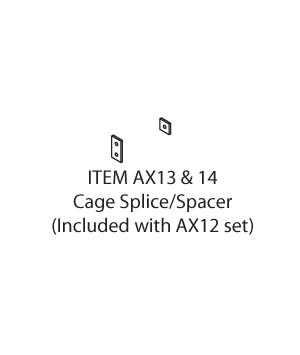 The key to AXESS is it’s flexibility and its ability to fulfill most vertical access problems with all the time advantages that an “Off The Shelf” service brings. 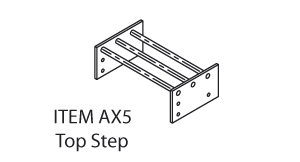 AXESS is simple to assemble and can be bolted together and installed on site, using no special tools. 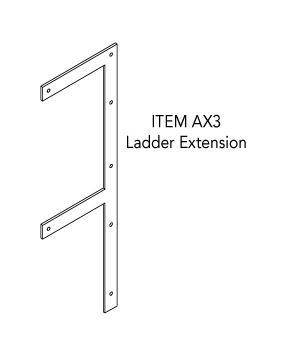 Because your ladder is usually supplied in “flat-pack” form it makes handling, storage and transportation a breeze. 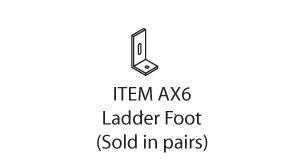 System components for Cenpart’s “AXESS” vertical permanent ladder are usually kept in stock for quick delivery or can be supplied as a complete ladder once the floor to floor dimension is given. 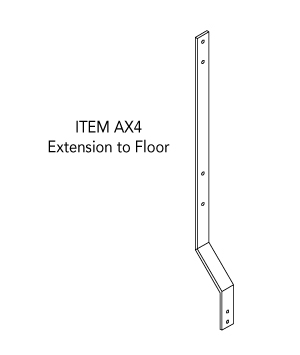 Components are generally BS 4211 compatible for the health and safety conscious. 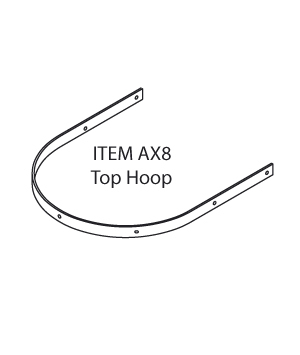 Supplied in “flat-pack” form for ease of transportation thus lending itself to export projects.